Fish long enough in your Foot Tractor Wading Boots and you’ll eventually wear down the traction. Which means it’s time to celebrate all the good times you’ve had, and order the Foot Tractor Aluminum Bar Replacement Kit. 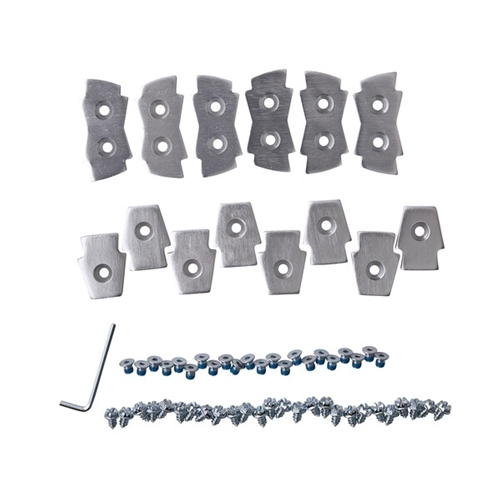 Each kit contains six small and four large bars, 24 screws and the wrench to make it all happen.